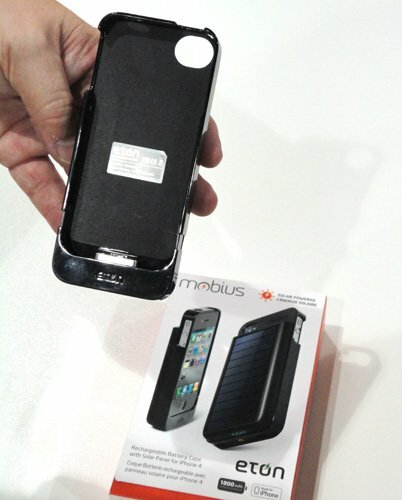 IFA 2011 At IFA in Berlin, Eton set a shining example among the iPhone 4 portable chargers with its Mobius battery case that features a solar panel on the back. 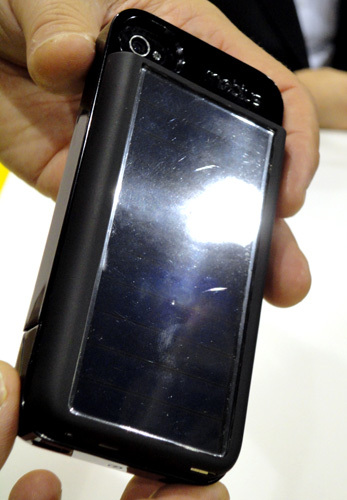 As is the norm with portable solar products, the panel keeps a secondary battery topped up that then offloads its power into the rechargeable battery of the attached product. With the Mobius, an hour of sunlight will gets you around 25mins of talk time, 20mins of Internet use, 35mins of video or just over a couple of hours of audio playback. On a full charge, these figures increase to hours with totals of five, eight, eight and 32hrs repectively. 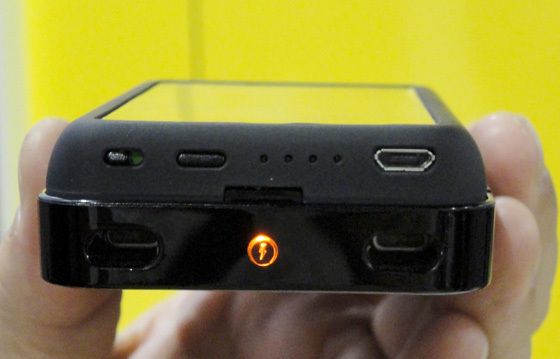 A light on the side of the unit indicates when it is charging the 1800mAh battery, and there is also a micro USB port for topping up from power sources and for iTunes sync. At 62 x 120 x 22mm and 96g, the Eton Mobius does add bulk to your iPhone 4, but not much more than other conventional juice packs.